Housing starts in November decreased slightly last month, reports Canada Mortgage and Housing Corporation (CMHC). Photo © BigStockPhoto/Max Dimyadi. 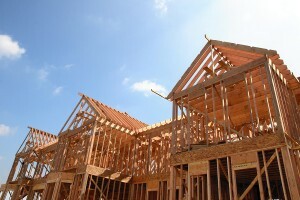 Canada’s November housing starts were down slightly from the previous month, stabilizing the six-month increase, according to Canada Mortgage and Housing Corporation (CMHC). Last month’s housing starts were trending at 194,014, down slightly from the 195,274 reported in October. The slightly increased trend since July, levelled out in November—remaining on par with the existing home sale trends across the country. The seasonally adjusted annual rate (SAAR) dropped to 192,235 units in November from 198,161 reported in October. Specifically, urban starts decreased by 3.4 per cent, multiple urban starts dropped by 3.5 per cent, and single-detached urban starts fell by 3.1 per cent from the previous month. Although there was an overall decrease, British Columbia and the Prairies experienced a rise in urban starts, while Atlantic Canada and Ontario saw a decrease. As for Québec, the number of starts remained stable.